Fans of Pitbull may be pleased to learn that he’ll have a song on the Aquaman soundtrack, which can be heard below. Soundtrack tie-ins with major blockbusters are pretty common and DC’s Aquaman is no exception. Just two months ago, Sony’s Venom debuted in theaters accompanied by a song from rapper Eminem. Now, rapper Pitbull has teamed with singer Rhea to bring fans a cover of Toto’s Africa titled Ocean To Ocean. Pitbull’s previous foray into movie soundtracks only includes the 2012 film Men in Black 3 but he did also have a song on the soundtrack for Furious 7. The seventh installment of the Fast & Furious franchise was directed by James Wan, who also directed Aquaman. Check out the song Ocean To Ocean below via the WaterTower Music Youtube channel. 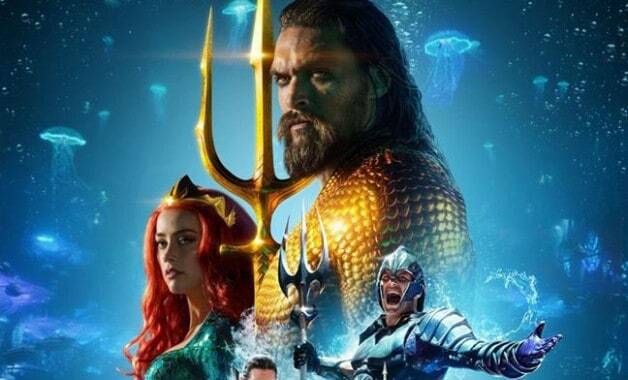 Aquaman has been making major strides at the international box office but it doesn’t open in the U.S. until next Thursday night. Although, some lucky Amazon Prime members are attending an early screening of the film, only available for Prime members, later tonight. The screenings have been selling out across the country but if you’d like to see if any seats are still available in your area, follow the link here. We’ll be sure to keep you updated on all news regarding Aquaman as soon as more information becomes available. Did you enjoy the Pitbull song? What’s your favorite example of a movie tie-in song? Let us know your thoughts in the comments below!